The Diocese of Hawai‘i regularly has positions for which there is a need for a priest to serve for a short period of time. These are not “typical” interim positions. The short-term positions that are available can last for several weeks to several months, with the length of time determined by the availability of the priest and the preference of the congregation. We have had clergy from other dioceses who are on sabbatical serve for in a congregation that was in transition. We have also had retired clergy come and serve for several months, in some cases with the intention to return regularly. Currently three churches in the Diocese are offering the possibility of a short-term stay. Note that they are in remote, rural areas. Also, please note that they may be booked well into the future. 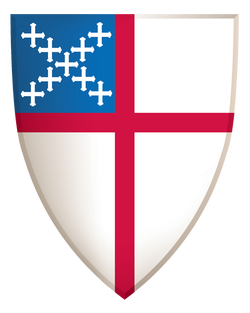 The Episcopal Church on West Kaua‘i (ECWK): The westernmost Episcopal church in the United States, consisting of two chapels, St. Paul’s (8:00am service) in Kekaha and St. John’s (10:00am service) in ‘Ele'ele. ECWK is serving as a "sabbatical site" in which a priest offers Sunday services and emergency pastoral care in exchange for living in a furnished vicarage, which was recently refurbished, and having a vehicle to drive. This ministry began in January 2012. ECWK prefers that priests stay for at least two months. St. Jude's Episcopal Mission, Ocean View, Big Island (Island of Hawai'i): The southernmost Episcopal church in the United States. St. Jude's offers a new, furnished vicarage that can sleep 2 to 4 people in exchange for Sunday supply. The church also provides a car, and someone from the congregation will meet you at either the Kona airport (1.5 hours) or the Hilo airport (2.5 hours) and transport you to the church. This ministry opportunity began in February 2013. Please click HERE to view St. Jude's short-term ministry brochure. For more general information about transition in the Diocese of Hawai‘i, please see the Transition Ministry page. Please contact The Rev. Cn. Sandy Graham, Canon for Congregational Life and Leadership. First, please contact the church directly for additional information about the short-term ministry opportunity, availability, and suitability. Please note: Once you have agreed with the church on suitable dates, please follow the below instructions for applying for short-term permission in Hawai'i. Once you've made initial arrangements with the congregation to be available on a short-term basis, you must request permission from Bishop Fitzpatrick to serve in the Diocese of Hawai'i. A completed background check (download the authorization form). Certification that you have completed your Diocese's Safe Church requirements, or their equivalents.